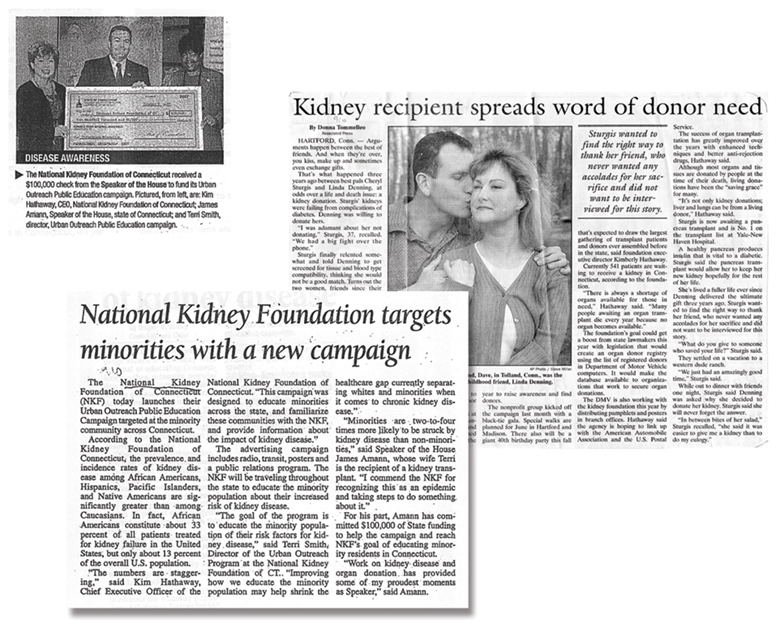 The National Kidney Foundation (NKF) historically felt overshadowed by larger non-profits and wanted to reach a broader audience. 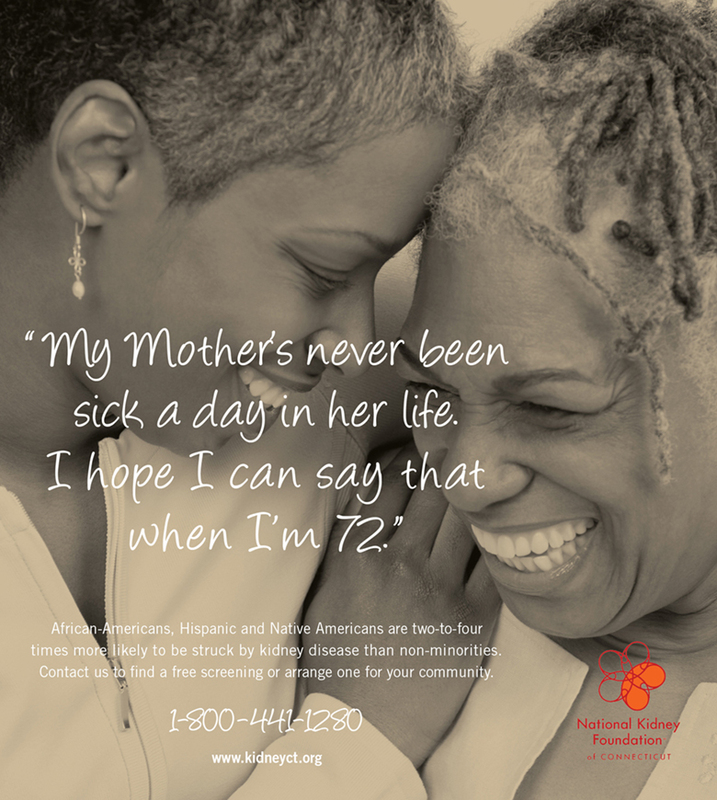 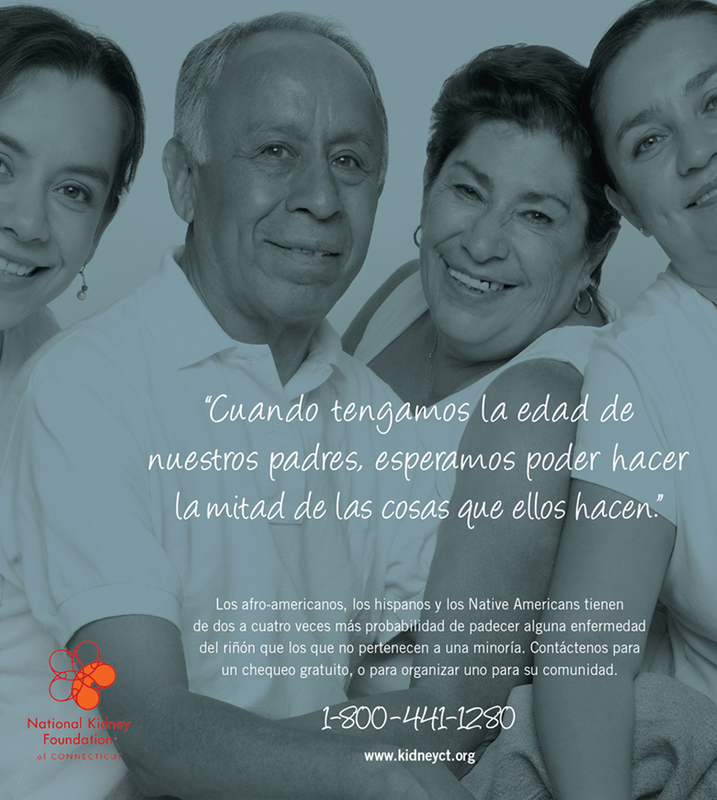 We spearheaded NKF’s media, event planning and community relations activities, and successfully raised its profile within the Connecticut media and the general public.We also helped the organization launch a first-of-its-kind program in Connecticut, specifically designed to reach ethnic populations. 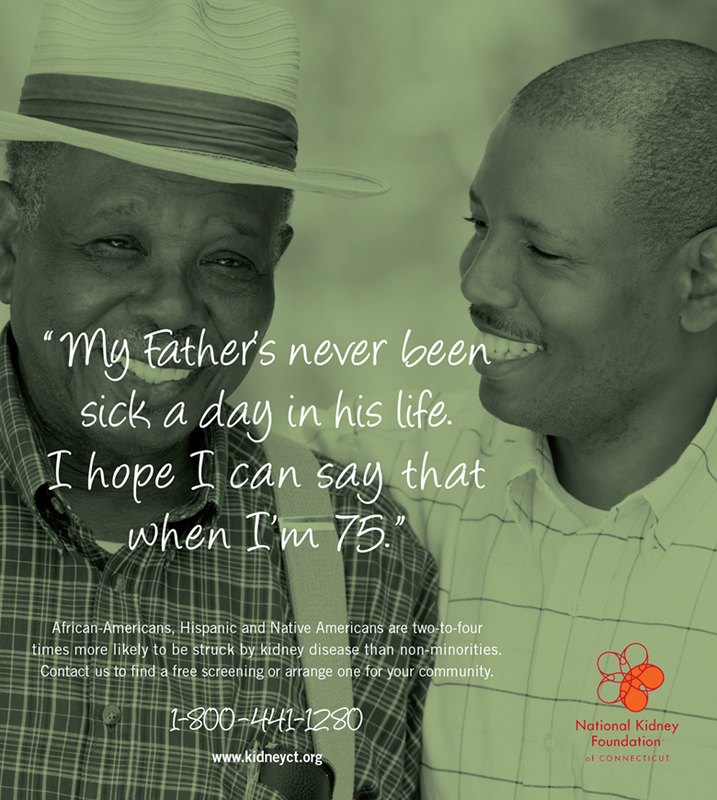 The Urban Outreach Program educated underserved minority groups about their increased risk for kidney disease through aggressive advertising and public relations, as well as educational events at health centers statewide. 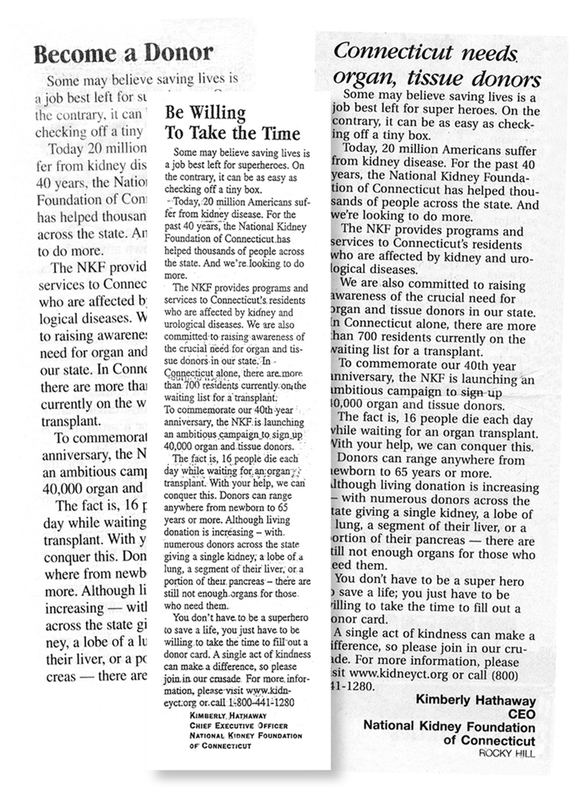 NKF has grown to be regarded as one of the state’s leading non-profit organizations, educating residents about kidney disease, transplantation and organ donation.